The “friendly” bacteria inside our digestive systems are being given an upgrade, which may one day allow them to be programmed to detect and ultimately treat diseases such as colon cancer and immune disorders. In an article published online on July 9, 2015 in the journal Cell Systems, researchers at MIT unveil a series of sensors, memory switches, and circuits that can be encoded in the common human gut bacterium Bacteroides thetaiotaomicron. These basic computing elements will allow the bacteria to sense, memorize, and respond to signals in the gut, with future applications that might include the early detection and treatment of inflammatory bowel disease or colon cancer. The article is titled “Programming a Human Commensal Bacterium, Bacteroides thetaiotaomicron, to Sense and Respond to Stimuli in the Murine Gut Microbiota.” Researchers have previously built genetic circuits inside model organisms such as E. coli. However, such strains are only found at low levels within the human gut, according to Dr. Timothy Lu, an Associate Professor of Biological Engineering and of Electrical Engineering and Computer Science, who led the research alongside Dr. Christopher Voigt, a Professor of Biological Engineering at MIT. “We wanted to work with strains like B. thetaiotaomicron that are present in many people in abundant levels, and can stably colonize the gut for long periods of time,” Dr. Lu says. The team developed a series of genetic parts that can be used to precisely program gene expression within the bacteria. “Using these parts, we built four sensors that can be encoded in the bacterium’s DNA that respond to a signal to switch genes on and off inside B. thetaiotaomicron,” Dr. Voigt says. A diet that starves triple-negative breast cancer cells of an essential nutrient primes the cancer cells to be more easily killed by a targeted antibody treatment, University of Wisconsin (UW) Carbone Cancer Center scientists report published in the June 15, 2015 issue of Clinical Cancer Research. The article is titled “Methionine Deprivation Induces a Targetable Vulnerability in Triple-Negative Breast Cancer Cells by Enhancing TRAIL Receptor-2 Expression.” This article was choses as a highlighted study by the journal its June 15 edition. The study's senior author, Dr. Vincent Cryns, Professor of Medicine at the UW School of Medicine and Public Health, says the study lays the foundation for a clinical trial to see if a low-methionine diet will help improve outcomes in women with "triple-negative" breast cancer. Methionine is an essential amino acid that is present in low concentrations in some vegan diets. Patients with triple-negative breast cancer have limited treatment options because their tumor cells lack the three receptors -- estrogen, progesterone, and human epidermal growth factor receptor 2 (HER-2) -- commonly targeted in hormone or chemotherapy. Scientists have known for decades that methionine deficiency can block the growth of many types of cancer, but the underlying mechanisms have puzzled researchers. "We've shown that removing methionine can have a specific effect on a molecular pathway that regulates cell death to increase the vulnerability of cancer cells to treatments that target this pathway," Dr. Cryns says. "What's particularly exciting about our findings is that they suggest that a dietary intervention can increase the effectiveness of a targeted cancer therapy." Researchers at UCLA have found that a protein that serves as a suppressor of cancer diminishes in skin and mouth epithelial cells as the human body ages. Dr. No-Hee Park, Dean of the UCLA School of Dentistry, and his research team have been studying p53, a tumor suppressor protein known as “the guardian of the genome” because of its involvement in DNA repair, cell cycle regulation, and cellular deterioration. “Looking at ways to maintain levels of p53 as one ages may provide a therapeutic clue to preventing cancer development,” said Dr. Park, who is also a Distinguished Professor in the Departments of Dentistry and Medicine at UCLA. Previous studies have shown that p53 accumulates in large quantities as connective tissue cells, called fibroblasts, age and stop dividing. It has been believed that the accumulation of p53 causes cells to stop dividing, which prevents out-of-control cells from growing into tumors. In an open-access article published online on July 1, 2015 in Aging Cell, the UCLA researchers found that in epithelial cells lining the skin and the mouth, the levels of p53 are actually reduced, rather than increased when cells age. Epithelial cells line the major cavities of the body, including most organs, such as the mouth, stomach, small intestine, kidney, and pancreas. These cells have a set level of p53 that provides protection from environmental factors and ensures the wellbeing of these cells. With less p53, older epithelial cells have a harder time maintaining the integrity of their genetic material when they encounter carcinogens, and this difficulty can allow cancer to develop. Dr.
UCLA scientists have identified a new mechanism that delivers a key substance that fuels the growth of pancreatic and prostate cancer cells, a finding that offers new hope in the fight against two of the deadliest forms of the disease. Cancer cells require high amounts of the sugar glucose to survive and grow, and long-standing research has established passive glucose transporters, known as GLUTS, as the primary method the body uses to deliver glucose to tumors. But the results of a three-year study by UCLA researchers, have demonstrated that pancreatic and prostate cancer cells also utilize glucose from sodium-dependent glucose transporters known as SGLTs, specifically SGLT2 (image). The findings in the study, which were published online on July 13, 2015 in PNAS, provide the first promising evidence that positron emission tomography (PET) imaging techniques and SGLT2 inhibitors could be used to better diagnose and treat pancreatic and prostate cancers, said Dr. Ernest Wright, Professor of Physiology in the David Geffen School of Medicine at UCLA and lead author of the three-year study. The PNAS article is titled “Functional Expression of Sodium-Glucose Transporters in Cancer.” “This is exciting because it provides strong evidence that SGLT2 inhibitors, such as those currently approved by the FDA to treat diabetes, could potentially block glucose uptake and reduce tumor growth and increase survival in pancreatic and prostate cancers,” said Dr. Wright, who is also a member of the UCLA Jonsson Comprehensive Cancer Center. Dr. Wright, Dr. Jorge Barrio, Dr. Claudio Scafoglio, and colleagues first mapped the distribution of sodium-dependent glucose transporters in human cancer tumors, then measured glucose uptake in fresh tumors using a glucose analog specifically transported by SGLTs. Using a combination of traditional ecological knowledge and science, a USDA Forest Service research team has demonstrated that the traditional Indian method of storing black ash logs submerged in rivers can save the traditional art of ask basketmaking, which otherwise can be at the mercy of the voracious emerald ash borer. Working with artisans from the Match-e-be-nash-she-wish Band of Potawatomi Indians of Michigan near Gun Lake, Michigan, scientists from the USDA Forest Service and the USDA Animal and Plant Health Inspection Service (APHIS) tested the traditional practice of storing black ash logs submerged in rivers to determine whether it can both effectively preserve ash logs for basketmaking and kill emerald ash borer (EAB) larvae lurking under the bark of ash trees and prevent emergence of adults. 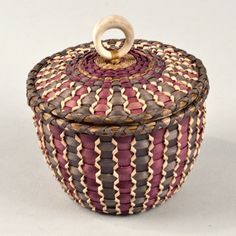 The study found that submerging logs for 18 weeks during winter or 14 weeks in spring killed EAB larvae and also retained the wood's quality for basketmaking. The study was published online on June 27, 2015 in the journal Agricultural and Forest Entomology and is titled “Submergence of Black Ash Logs to Control Emerald Ash Borer and Preserve Wood for American Indian Basketmaking.” "Black ash has special importance for American Indian and First Nations people in the Great Lakes region and northeastern North America," said Dr. Michael T. Rains, Director of the Forest Service's Northern Research Station and the Forest Products Laboratory. Researchers at Columbia University in New York City have reported a new approach to visualizing glucose uptake activity in single living cells by light microscopy with minimum disturbance. In a study published online on July 16, 2015 in Angewandte Chemie International Edition, Associate Professor of Chemistry Dr. Wei Min's team developed a new glucose analogue that can mimic the natural glucose, and imaged its uptake as an energy source by living cancer cells, neurons, and tissues at the single cell level. The article is titled “Vibrational Imaging of Glucose Uptake Activity in Live Cells and Tissues by Stimulated Raman Scattering.” Glucose is consumed as an energy source by almost all life forms, from bacteria to human. The uptake of glucose by cells closely reflects their energetic needs, and is becoming poorly regulated in many pathological conditions such as obesity, diabetes, and cancer. To visualize this important process, several prominent techniques have been developed in the past few decades. Radioactive fluorine-18-labeled glucose FDG is widely applied in clinical cancer diagnostics to locate metabolic hot spots in human body using positron emission tomography (PET). Magnetic resonance imaging (MRI) has recently demonstrated glucose imaging in mouse tumors. Although both methods find great use in clinical application, they do not have sufficient spatial resolution to visualize glucose uptake down to the single cell level To image glucose uptake activity at the cellular level, glucose analogues labeled with fluorescent dyes have been developed. Unfortunately, tagging fluorophores onto glucose alters the chemical properties of glucose. Moreover, fluorescent dyes are always larger than the glucose itself. Understanding diseases like autism and schizophrenia that affect development of the brain has been challenging due to both the complexity of the diseases and the difficulty of studying developmental processes in human tissues. In a study published in the July 16, 2015 issue of Cell, researchers have made steps toward overcoming these challenges by converting skin cells from autism patients into stem cells and growing them into tiny brains in a dish, revealing unexpected mechanisms of the disease. The Cell article is titled “FOXG1-Dependent Dysregulation of GABA/Glutamate Neuron Differentiation in Autism Spectrum Disorders." Most autism research has taken the approach of combing through patient genomes for mutations that may underlie the disorder and then using animal or cell-based models to study the genes and their possible roles in brain development. Although this has yielded a handful of rare disease genes, the limitations of these models and the complexity of the disorder have frustrated researchers and left over 80% of autism cases with no clear genetic cause. The new study now turns the traditional approach on its head. "Instead of starting from genetics, we've started with the biology of the disorder itself to try to get a window into the genome," says senior author Dr. Flora Vaccarino, the Harris Professor of Child Psychiatry and Professor or Neurobiology at the Yale School of Medicine. The clinical characteristics of autism are complex and wide-ranging, making the prospect of finding common underlying factors slim. To stack the deck in their favor, the researchers focused on the approximately one-fifth of autism patients that share a distinctive feature correlated with disease severity--an enlarged brain. Immune thrombocytopenia (ITP) is an autoimmune disease whereby the immune system sends antibodies to attack and destroy the body's platelets--blood cells responsible for controlling bleeding. Stopping ITP is important because if platelet counts in a body are low, simple cuts could bleed for hours and more traumatic injuries could be fatal. The body's inability to control bleeding can also lead to stroke. 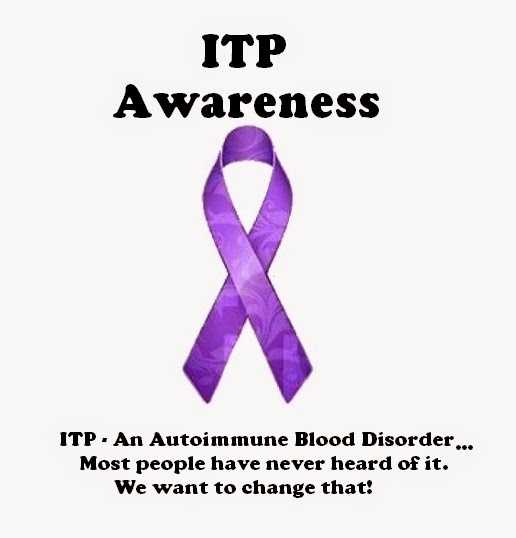 ITP affects one in 10,000 people in Canada and accounts for 0.18 per cent of all hospital admissions. Most cases are spontaneous and without any clear cause. ITP's severity and the effectiveness of its treatment vary from patient to patient. A new study, published online on July 17, 2015 in an open-access article in Nature Communications, may explain why there is so much variance in symptoms and response to treatment. The article is titled “Desialylation Is a Mechanism of Fc-Independent Platelet Clearance and a Therapeutic Target in Immune Thrombocytopenia.” The surface of every platelet is covered with thousands of different proteins and each type of antibody targets a specific protein on the platelet. The first antibody to find a platelet latches on and leads the platelet to an organ where it will be destroyed. It's always been thought that all ITP antibodies lead platelets to the spleen for destruction. "Every existing treatment for ITP has been dedicated to stopping antibodies from destroying platelets in the spleen, but we've discovered that some antibodies actually destroy platelets in the liver," said Dr. Heyu Ni, a scientist in the Keenan Research Centre for Biomedical Science of St. Michael's Hospital in Toronto, Canada. Researchers at Harvard University and the University of California, San Diego (UC San Diego), have developed a new user-friendly resource to accompany the powerful gene editing tool called CRISPR/Cas9, which has been widely adopted to make precise, targeted changes in DNA. This new breakthrough has the potential to facilitate new discoveries in gene therapies and basic genetics research. The research was published online on July 13, 2015 in Nature Methods. The article is titled “Unraveling CRISPR-Cas9 Genome Engineering Parameters via a Library-on-Library Approach.” The study describes a way to simplify a laborious part of the gene-editing process using the CRISPR/Cas9 system: choosing the best components to match specific gene targets. "We've taken a step towards making the CRISPR/Cas9 system more robust," said Dr. Prashant Mali, an Assistant Professor in the Department of Bioengineering at the UC San Diego Jacobs School of Engineering, and a co-first author of the Nature Methods publication. CRISPR/Cas9 is a relatively new genome engineering tool that can target a particular segment of DNA in living cells -- such as a gene mutation -- and replace it with a new genetic sequence. This technology ultimately has applications in gene therapies for genetic disorders such as sickle cell anemia and cystic fibrosis. The CRISPR/Cas9 system has two components: a short "guide RNA" with a sequence matching a particular gene target, and a large protein called Cas9 that cuts DNA precisely at that target. Herein lies the beauty of the CRISPR/Cas9 system: to target another region of the genome, researchers can simply change the guide RNA sequence to match the new gene target. However, finding the best guide RNA match for a specific gene target is a labor-intensive process. Proteins responsible for controlling levels of iron in the body also play an important role in combatting infection, according to a study published online on July 16, 2015 in Cell Host & Microbe. The article is titled “Iron Regulatory Proteins Mediate Host Resistance to Salmonella Infection.” Humans, along with all living organisms, including pathogen, need iron to survive. Invading organisms try to highjack it from their hosts in order to thrive and multiply. Researchers at EMBL Heidelberg, and their colleagues, have now discovered that proteins responsible for helping the body maintain the correct levels of iron at a cellular level are also involved in helping to prevent this theft. These proteins form a system called IRP/IRE (iron regulatory protein/iron responsive element). “The work we’ve been doing has uncovered a connection between two very important functions that are typically seen as separate: the body’s innate immune system, and its iron metabolism,” explains Dr. Matthias Hentze, co-author of the paper and Director of EMBL. The research team analyzed how mice reacted to an infection by the Salmonella bacteria, depending on whether they had a functional IRP/IRE system or not. Mice lacking a functional IRP/IRE system from professional immune cells called macrophages did well as long as they were not infected, but when the Salmonella bacteria were introduced, the mice died. This showed that the iron regulatory system was crucial for the macrophages, the target-cells for this specific pathogen, to fight off the infection effectively. “Withholding iron from an invading pathogen is an innate defense against infection,“ explains Dr. Bruno Galy, former Staff Scientist at EMBL-Heidelberg and currently Group Leader at the German Cancer Research Centre (DKFZ).